60 dazzling years ago on this very day Walt Disney opened the gates of Disneyland Park for dreamers of all ages to enjoy. 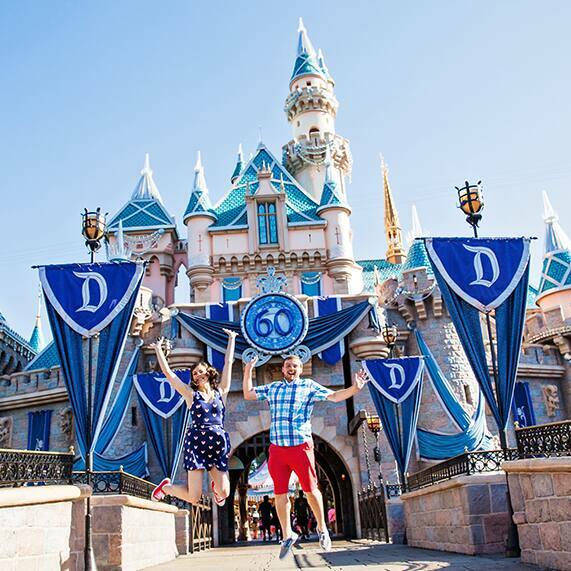 Disney's Fairy Tale Weddings & Honeymoons is thrilled to celebrate the Disneyland Resort Diamond Celebration by bringing to life dream engagements, weddings and honeymoons topped with an extra dose of sparkle. The magic has only just begun...wait until you see what we've got in store for our most glittering year ever.